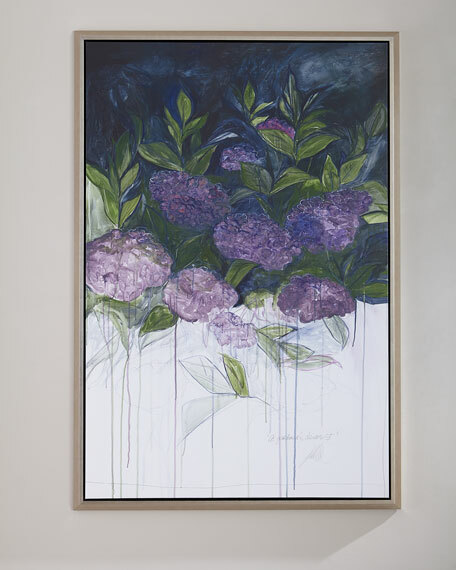 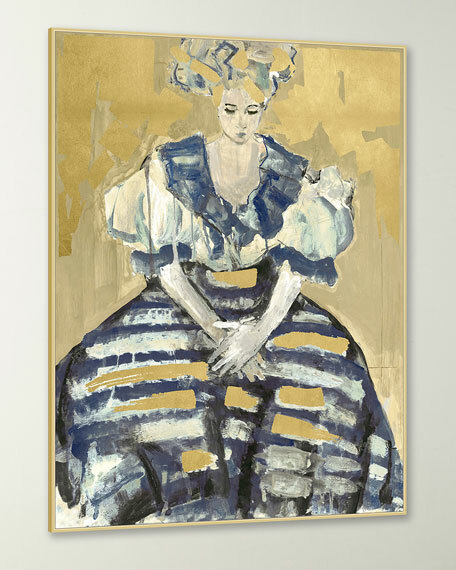 Giclée reproduction on canvas, artist-enhanced with hand-applied gold leaf. 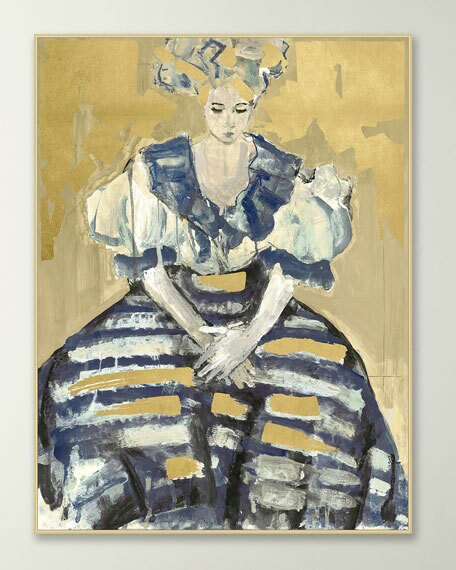 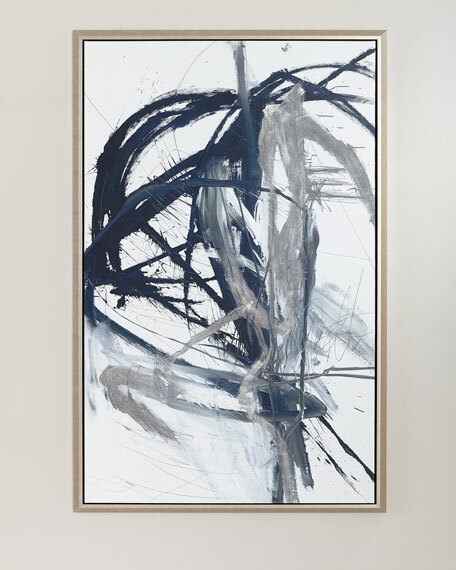 This art combines the aesthetic of gold leafing with painterly forms to create a stunning and gestural portrait. 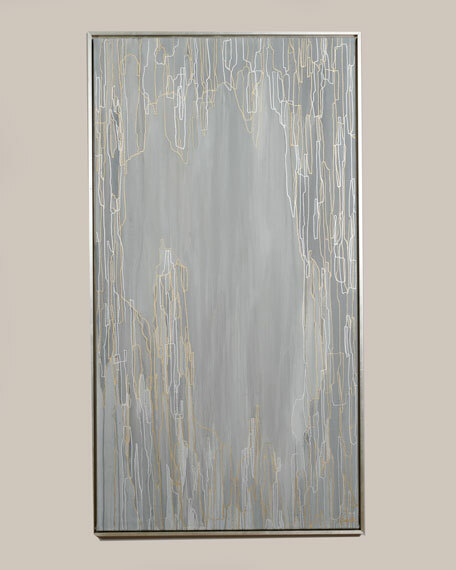 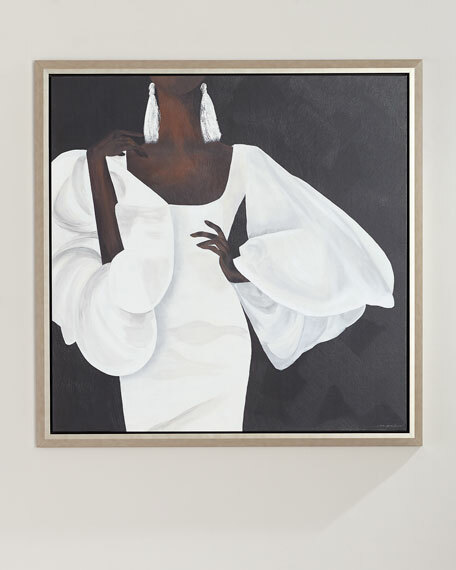 The framed canvas is designed with a gold floater frame.